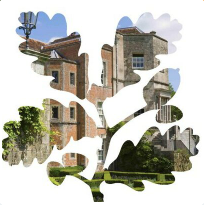 I’ve been a volunteer at my local National Trust property, Mottisfont Abbey in Hampshire, since March 2013 and the art gallery there puts on a number of excellent and popular exhibitions each year. 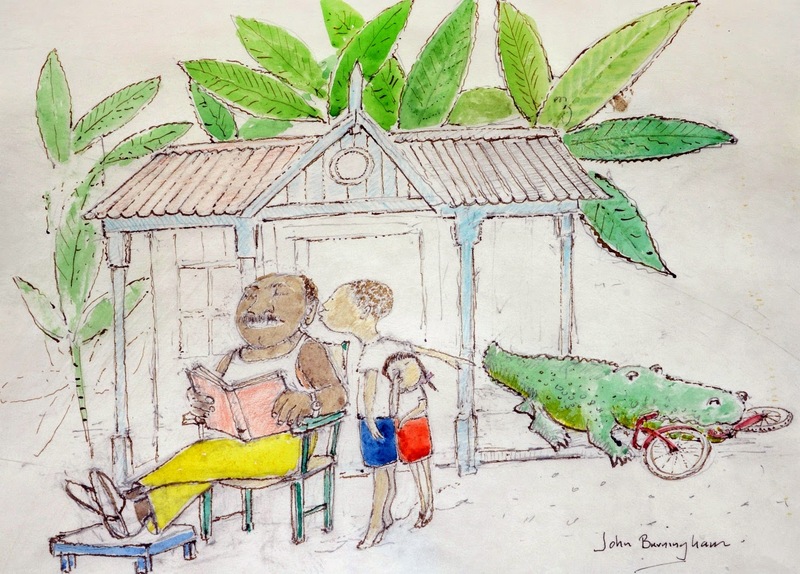 This summer – from 19 July to 14 September - there’s a fantastic opportunity to see the work of some of the best children’s contemporary illustrators, including Quentin Blake, Helen Oxenbury and John Burningham in a new exhibition. 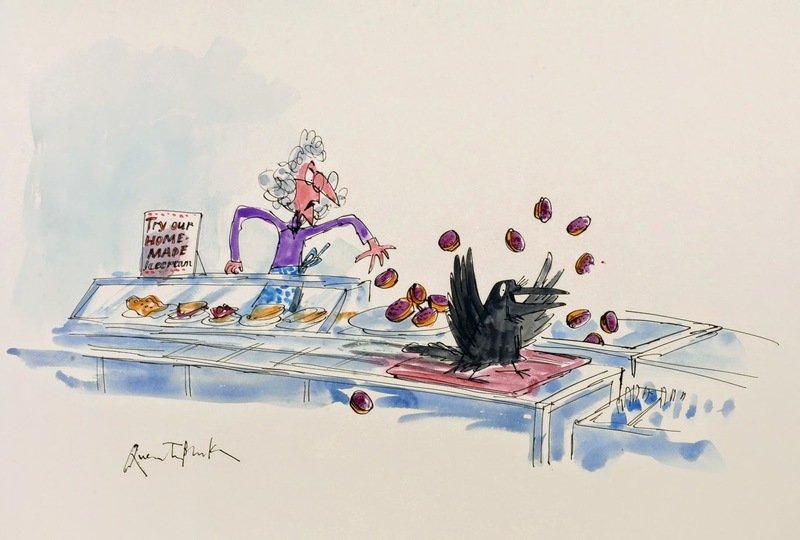 Visitors to the exhibition will be able to see for the first time 21 new drawings made by Quentin for the hit West End production of Charlie and the Chocolate Factory, full of his usual wit and sharp-eyed observations. The original drawings and watercolours in the show have all been lent by the Chris Beetles Gallery in London, and all of these unique works are for sale. 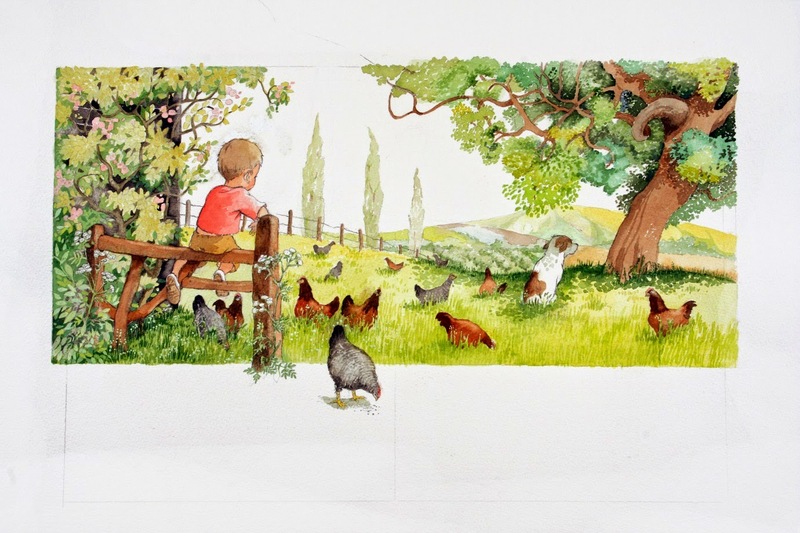 The gallery is also lending stunning watercolour illustrations by artists including Michael Foreman, Emma Chichester Clark, John Burningham, Helen Oxenbury, Rebecca Cobb and Oliver Jeffers which are also for sale. The stories illustrated range from classics such as Treasure Island, Alice in Wonderland and classic fairy tales to works by Terry Jones and Michael Morpurgo. Visitors can take inspiration from the exhibition and set off on an epic imaginative story adventure around the house and grounds, creating their own illustrated books as they go. There are also special event weekends in August with lots of additional hands-on activities, including helping to make the biggest picture book ever! 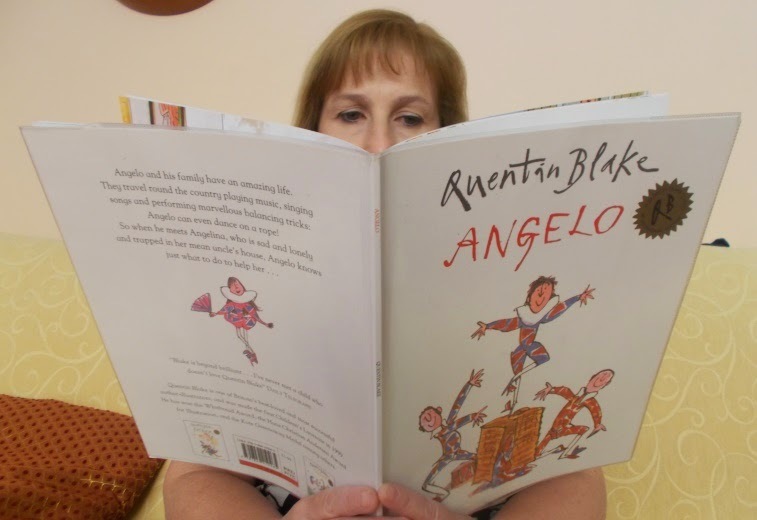 You might even get some tips from Quentin Blake himself, and meet some of the other authors. Special event weekends are on 2/3, 16/17, and 30/31 August, and feature storytelling, performance, and on the final weekend, storytellers from the Roald Dahl Museum. The last owner of Mottisfont, Maud Russell, was a great patron of the arts and artists and I’m sure she would have approved of the way arts have been brought to the top floor gallery and the grounds of her home. Long before I became a volunteer there, I considered the elegant house, which began life as a Medieval Priory, a very special place. 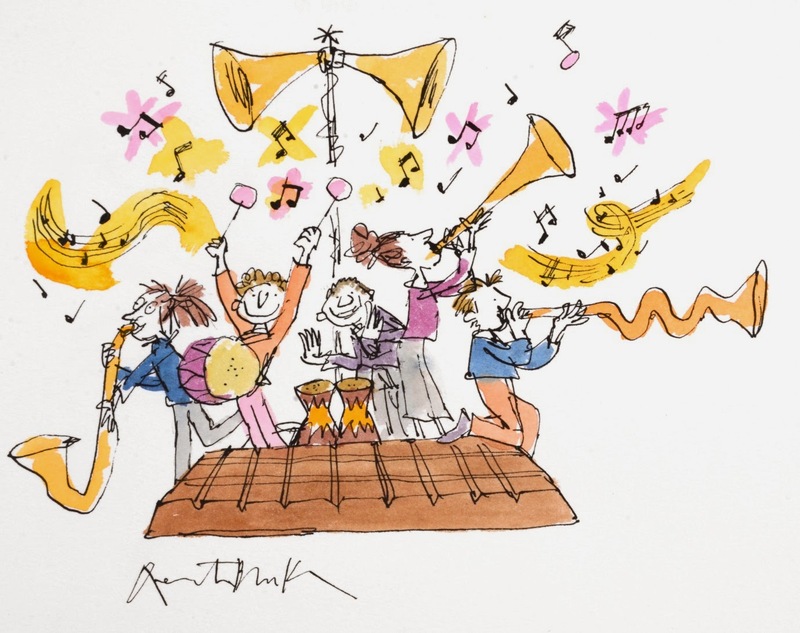 When I received a request to read some of Quentin Blake’s stories at one of the special event weekends, I immediately said yes and am booked in for the afternoon of August 3rd. I can’t wait. 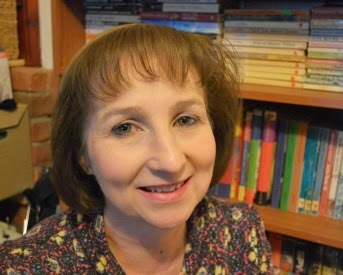 Lorraine has been a SCBWI member since 2011. She writes MG and YA fiction. Her day job often involves nitpicking the spelling and grammar of people under 12 and she takes her red pen everywhere. Have been resisting joining The National Trust for years (it's an age thing) because I usually only visit once a year - Mottisfont for the roses but that makes me sound old anyway! So this exhibition is making NT membership inevitable - denial is useless. Hope you really enjoy the reading on August 3rd - what a lovely thing to do! What time are you on? Thank you for a great report, Lorraine. 1-4pm. Have big pile of books. And NT membership - go for it!